This story originally appeared on April 5, 2015. In the spring of 1952, the U.S. government tested tactical nuclear weapons at the Nevadoa Proving Ground as part of Operation Tumbler-Snapper. 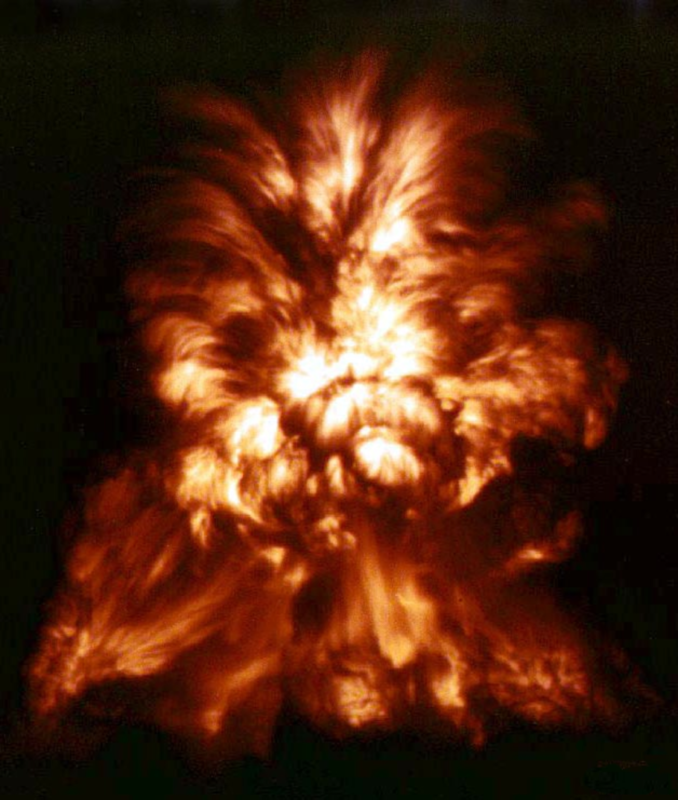 It was the third nuke test series in 18 months at the Nevada site in an era of breakneck atomic development. At 4:00 in the morning on May 13, one of the Tumbler-Snapper bombs — code name “Fox” — was scheduled to go off. But the moment passed … and no atomic fireball curled into the sky. Shot Fox had misfired. Locked in its cab atop a 300-foot tower rising over the Yucca Flat, the malfunctioning 15-kiloton device posed a serious danger to living things for many miles in all directions. Someone had to disarm the thing. What followed was one of the riskiest and most delicate jobs — well, ever. Shot Fox began well enough. The night before H-hour at Yucca Flat’s Site Four, Dr. John C. Clark of the Atomic Energy Commission wired shut the shot cab’s door and watched as engineers took down the tower’s elevator. He joined other top scientists at the control point several miles away. Some 500 U.S. military observers joined 950 troops from the Army’s 701st Armored Infantry Battalion — part of the 1st Armored Division — to experience the nuclear test from a point just a few miles from ground zero. Psychologists from George Washington University and Johns Hopkins prepared to evaluate the observers’ reactions to atomic destruction. The 701st soldiers were guinea pigs for evaluating the bomb’s flash, burn and shock-wave effects under field conditions. The countdown sequence ran smoothly up to H-hour, then … nothing. For agonizing minutes, the firing party and the 701st in its trenches hung on nothing, waiting for the atomic explosion. The firing party exhaustively checked the complex electronic equipment and wiring. Test managers ordered the troops and observers to turn away from the shot tower and retreat from their trenches. As Clark was the firing party commander, the bomb was his responsibility. “We’ll let the gadget sizzle for an hour if it wants to,” Clark told Los Alamos test director Dr. Alvin Graves. Graves agreed and the firing party spent the hour working out a detailed disarming procedure and checklist. Clark wasn’t alone. Engineers Herb Grier and Barnie O’Keefe —both from atomic contractor EG&G — were the firing party members with the greatest knowledge of the bomb’s electronics. They flipped a coin to see who would join Clark. O’Keefe won. Or lost, as it were. He would accompany the scientist back into the shot cab. At 6:15, Graves gave the go-ahead. Clark displayed remarkable sangfroid. Carrying only some rope, some test instruments and a hacksaw, he walked to his car. “For this kind of work, a guy deserves double time,” Clark joked with a security officer. Clark’s aplomb suited him to his job. As chief triggerman for the AEC, he eventually set off more nuclear weapons than almost anyone. Only a few months prior to Shot Fox, Clark had disarmed another atom bomb. In October 1951, Operation Buster-Jangle’s Shot Sugar misfired at the Nevada Test Site. Clark spent two nerve-wracking hours disarming the 1.2-kiloton device. Clark, O’Keefe and another unfortunate, Los Alamos physicist John Wieneke, drove out the several miles to Site Four. Clark averted his eyes and lowered the car’s sun visor in case the device did go off and its flash caught him by surprise. Once at the base of the 300-foot-tall shot tower with a live atomic bomb on its top, the three men got ready for their ascent. Without the tower’s elevator, the only way up was to climb. A hundred feet up, the winded men paused, their dress shoes slipping on the metal scaffold. 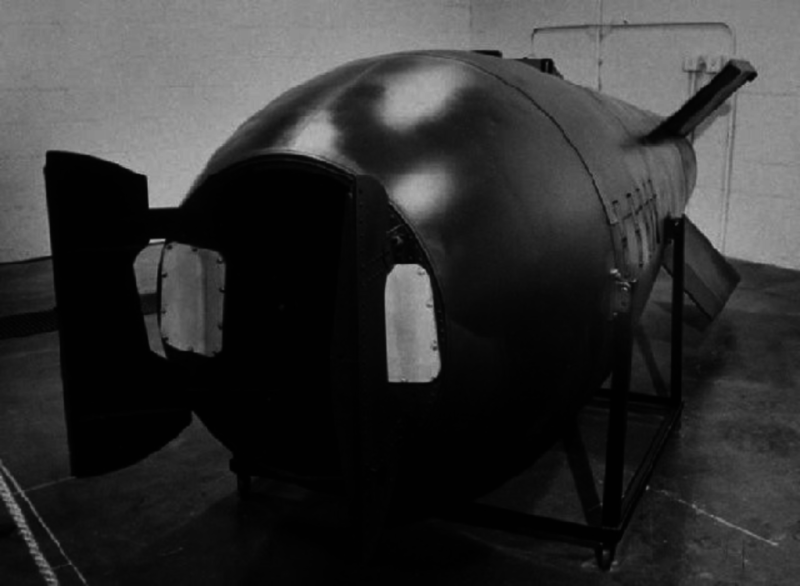 They rested … then kept climbing — up, up, up toward the cab and the fizzling atomic bomb within. With his hacksaw, Clark cut off the wire seal he’d twisted into place, and the crew crouched around the weapon. O’Keefe picked up a wall telephone and connected with test director Graves. O’Keefe began a running play-by-play of the action, so that the firing party would at least possess a record if the worst happened. The device tested a new polonium-beryllium internal neutron initiator — designed to “kick-start” and boost the fission reaction with a precisely-timed flood of neutrons into the core upon detonation. Working with his bare hands, Clark unscrewed access panels and reached into the web of wiring and electronics inside the Mark V bomb casing. As Wieneke proceeded through the disarming checklist, Clark carefully located and deactivated the pit systems including the initiator. Even then the bomb was deadly. Though incapable of a nuclear explosion at this point, the device still contained enough high explosive to destroy the shot tower — and everything and everyone on it. Clark asked Graves for a nuclear technician to join them and remove the bomb’s plutonium core. That part, at least, was routine. Early American nuclear weapons — experimental or operational— kept their fissile cores separate from the their bomb casings for safety and custodial reasons. Special hatches in bomb casings allowed technicians and crew to load and unload the cores. After finishing the worst job in the world for a second time in his life, Clark led his crew down off the Fox shot tower. Postmortem investigation turned up the cause of the misfire — not in the bomb’s circuitry but in an instrumentation system. One device failed to switch on and overrode the automatic firing sequence without warning. Twelve days later on May 25, 1952, Clark watched Shot Fox detonate — flawlessly, this time . The troops huddled in their trenches, the instruments recorded their data and the psychologists observed their subjects.